A BBQ and tinfoil are most definitely your friends when camping during a fire ban, but a good little propane stove can also work wonders*. It’s always best to plan out your meals in advance so you know what parts of the recipe you can make ahead of time and freeze, as well as all the tools you will need for food preparation. *In extreme fire conditions, BBQs may also be banned. Check the provincial government website for updates on restrictions. Christine McAvoyBreakfast burritos can be catered to anyone; just know who you’re serving before you pack up your groceries (e.g. if you need to make a tofu scramble instead of eggs). 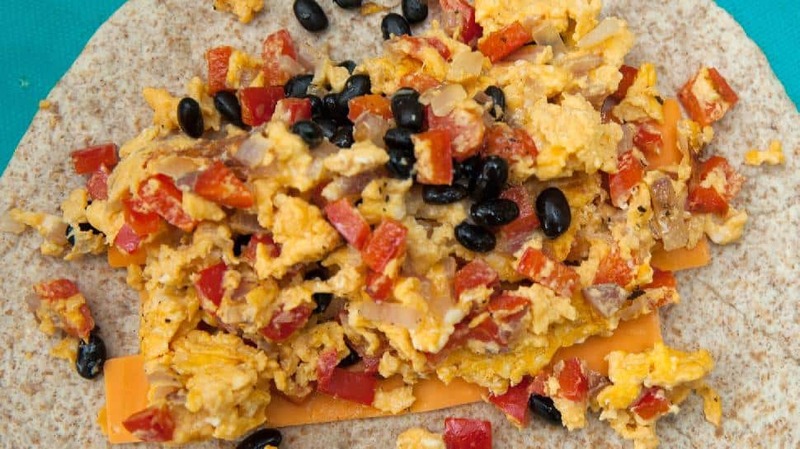 If you make these for breakfast, you can use some of the black beans for the burritos and save the rest for a dinner recipe (like the prawn one below) and only have to bring one large can. The same thing goes for prepped veggies. If you’re cutting red peppers for these and know you need them for another recipe (say this Pasta Salad we’ve shown you before), get it all done at home, or at the same time at the campsite to save cooler space, time and dishes. Cook breakfast sausage on the BBQ, let cool, then chop into bite-sized pieces. Scramble the eggs in a bowl, sprinkle with salt and pepper and set aside. In the olive oil, cook the chopped red pepper and onion until soft then mix in the eggs and begin to scramble. After a minute, add the black beans and continue to cook the eggs until done. Divide the mixture into 4 equal amounts on each wrap and add the meat and optional cheese. Wrap in tinfoil once rolled. To melt the cheese and heat everything through, place on the BBQ in the tinfoil wrapper for a few minutes until gooey. (If you were able to have a campfire, you could do this step over the fire instead—just watch out for the heat! 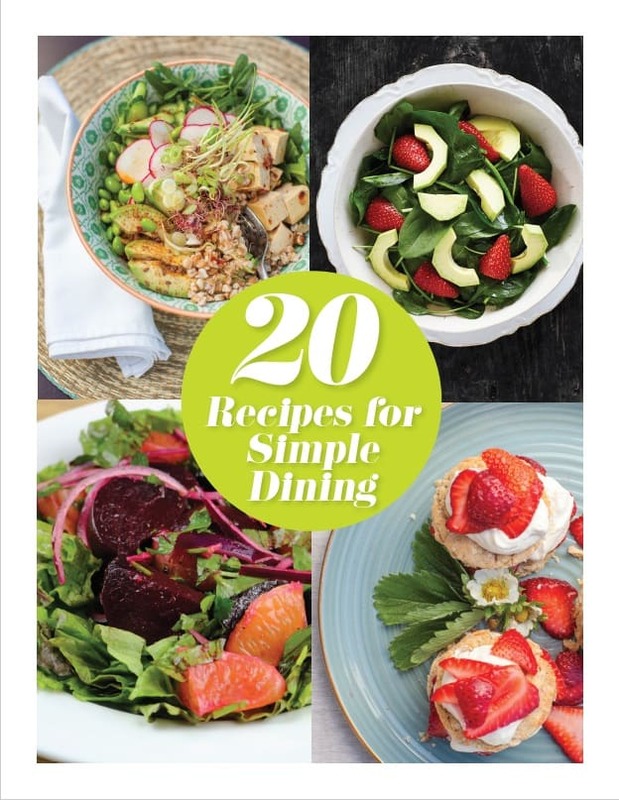 Christine McAvoyThis is a super-easy meal where much of the prep can be done at home. If you freeze the cauliflower rice after you make it at home, it will thaw in the cooler and you can have it as a meal on day two. The prawns (if using) will also slowly thaw, as will the corn, if you make that ahead of time too (or make it on the BBQ the day of). 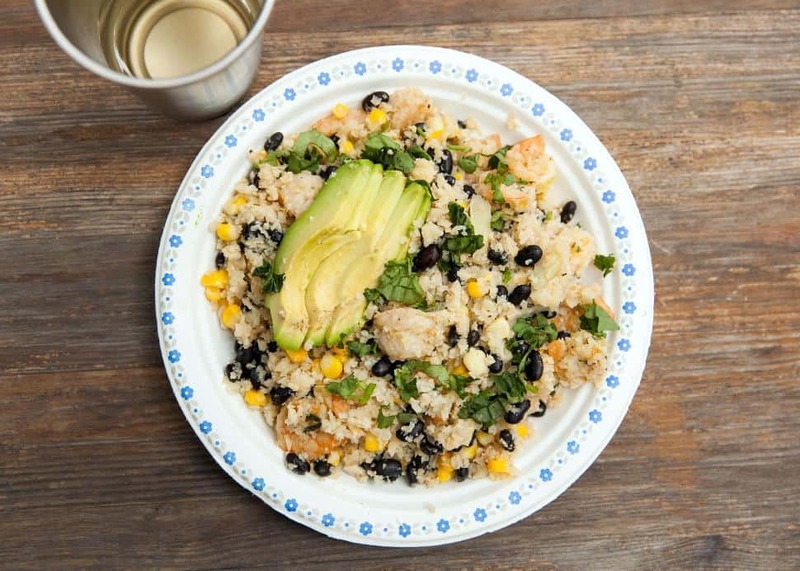 You can easily make this vegan by omitting the prawns, but you might want to double up on the beans in that case. If you're taking this camping, it should thaw in the cooler over the first day or so and be ready to make by night two. If it's still frozen on day two, remove the rice, corn and prawns from the cooler to finish thawing. In a bowl (or pot), place the rice, prawns, beans, corn, green onions, garlic, lime juice and zest, olive oil and cumin together and stir and toss to coat. Place a sheet of heavy-duty aluminum foil, or a double layer of regular tinfoil on the table. Divide the mixture between the sheets and fold into a packet to seal it. Place on the grill and cook for approximately 10 minutes or until the prawns have cooked through. Plate and sprinkle with salt and pepper, sliced avocado and cilantro, if using. Christine McAvoyNo campfires means no S’mores, and that’s just disappointing. 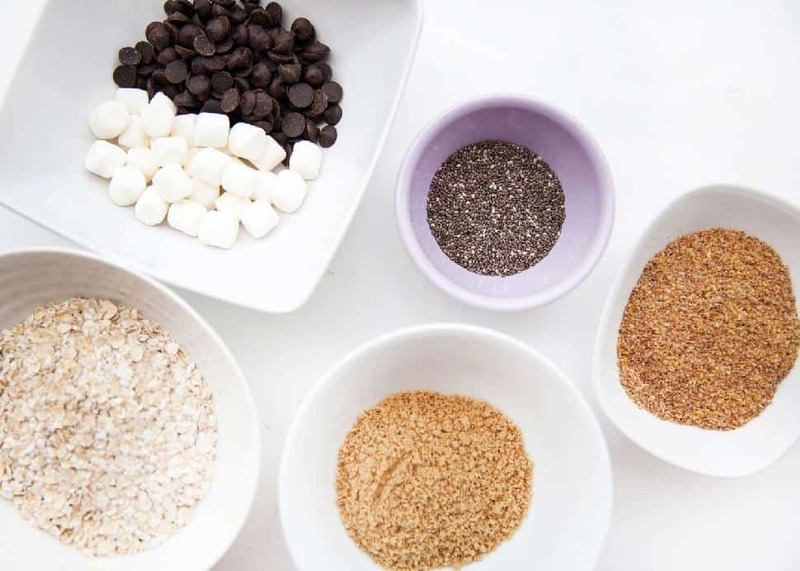 But make these healthy energy balls (pictured at top of article) ahead of time at home and get a hit of that chocolate-marshmallow-graham cracker goodness anytime: on a hike, as a snack or while sitting around the Coleman lantern. They are vegan, can be gluten-free and aside from the marshmallows, have no added sugar. Melt the coconut oil in a bowl. Mix with the nut butter of your choice and the maple syrup. Add the dry ingredients and stir together until evenly combined and distributed. Chill the dough for at least 20 minutes, but up to an hour is great. Using a cookie scoop (mine is 1 inch, approx 1 tbsp), scoop a section of the mix out and into your palm and form a better ball. Roll in optional graham cracker crumbs on the outside. You can store in the fridge for about a week, and/or freeze them and thaw overnight (or in the cooler at your campsite! ).